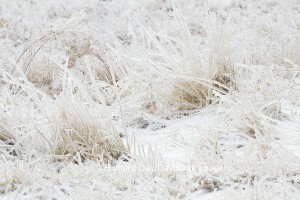 The ice storm at Daybreak Imagery showed us what Mother Nature can do in winter. We received ¾” of ice followed by blustery winds that toppled trees, knocked downed power lines, and more. We live just 70 miles east of St Louis where record blizzards conditions occurred. Nearly 200 miles of I-70 between St. Louis and Kansas City, MO shut down because of record amounts of snowfall and blizzard conditions. In our neck of the woods, we just received ice…and lots of it! 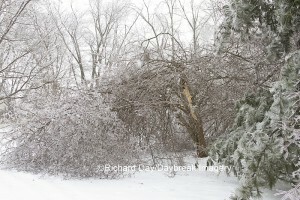 Many trees and limbs fell down throughout south central Illinois which also caused power outages. 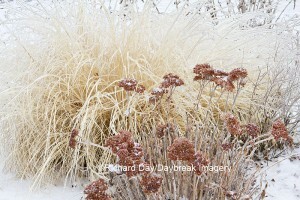 Richard Day has posted some photos from our yard and a video of why power lines don’t like ice! This entry was posted on Wednesday, February 2nd, 2011 at 3:25 pm	and is filed under Uncategorized. You can follow any responses to this entry through the RSS 2.0 feed. Both comments and pings are currently closed.